A white color with sheer sleeves that is puffed up and slight embroidery work on the bodice makes for an ideal wear to weddings. 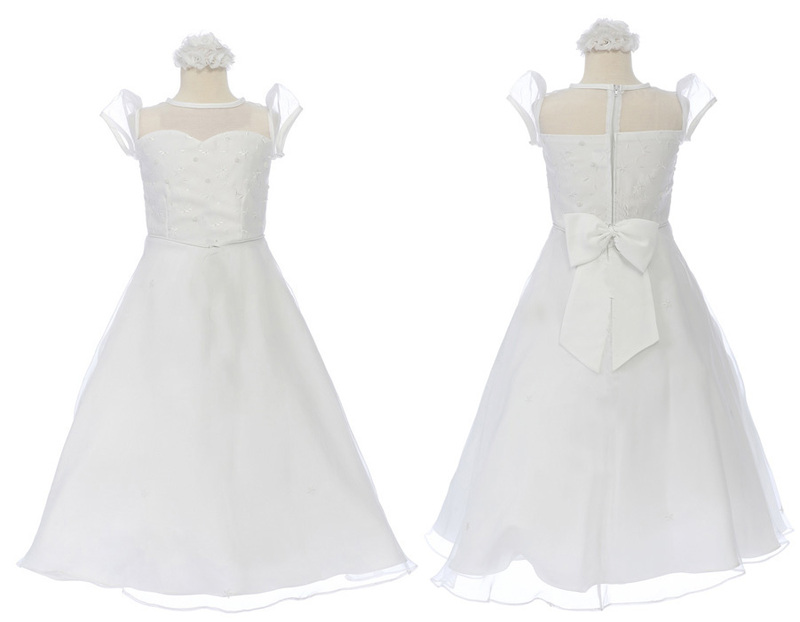 The dress has a band around the waist with a tie-up bow at the back. 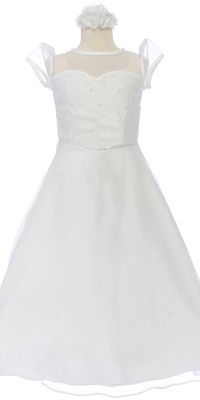 The dress has a sweetheart neckline.